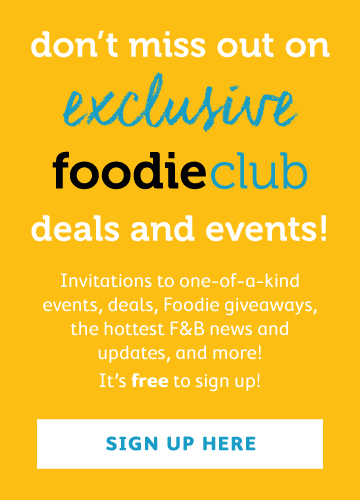 Want to get a fast pass to Peruvian flavours? Hop on the ICHU lunch express and give your palate a treat. 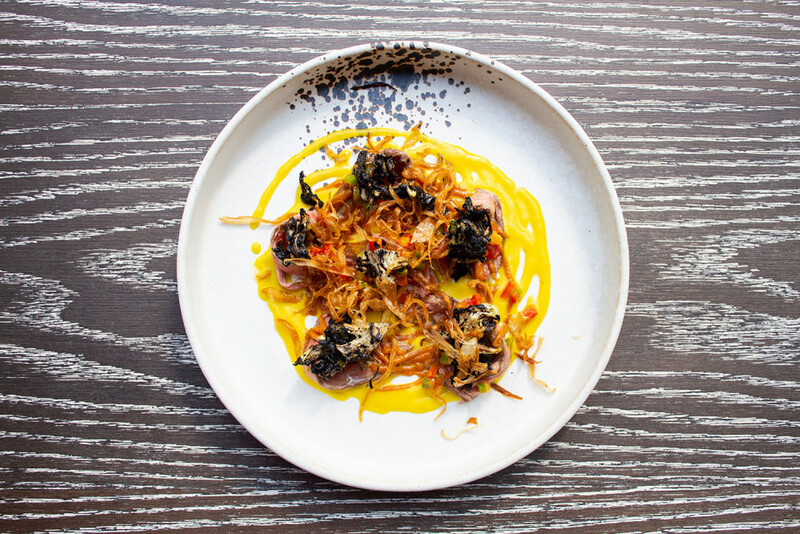 Founded by award-winning chef Virgilio Martínez, known for his acclaimed Central restaurant in Lima (ranked 5th on The World’s 50 Best Restaurants list), ICHU has passed its teething stages and is now in its third month of operation since opening in September. During our last round, we indulged in an array of Head Chef Sang Jeong’s signature dishes for dinner, but this time, we had a chance to try some of his lunch offerings. 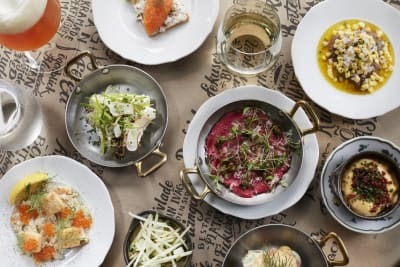 Guests can choose either the two-course ($330) or three-course set lunch menu ($380), depending on whether dessert is deemed necessary for lunchtime noshing. 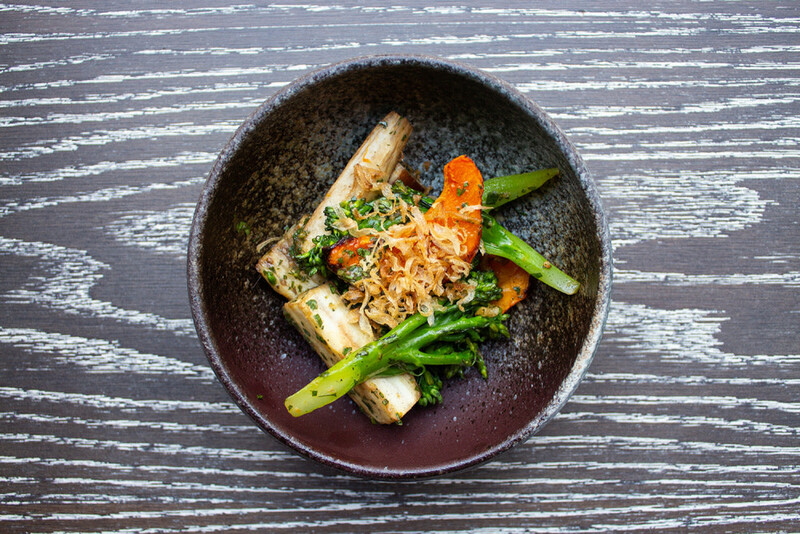 Both set menus include a single side dish, and guests can choose between papa al grill (grilled potato and salsa Huancaína), arroz rojo (rice, ají panca and chives) or berenjena broccolini (aubergine, broccolini and tamarillo). 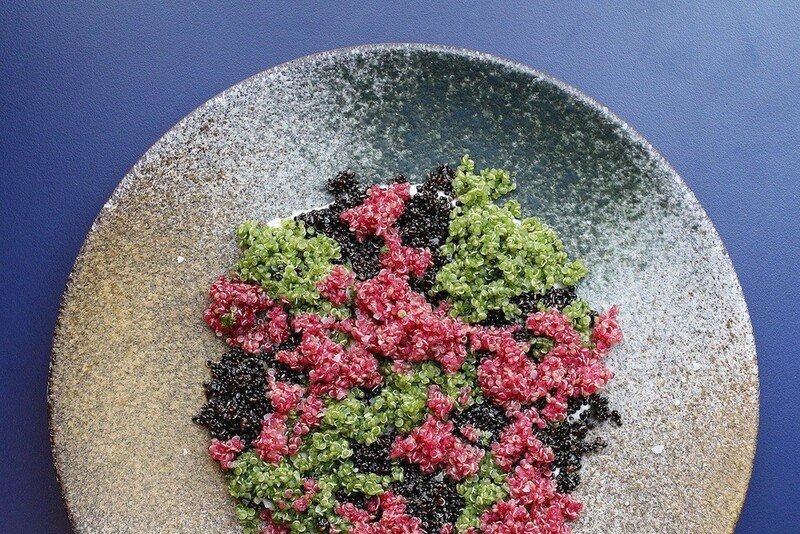 A signature of ICHU, Chef Jeong recommends guests try the quinoa salad, which features a tri-coloured combination of Peruvian quinoa, all dyed naturally – the black in its original form, the red dyed by beetroot and the green dyed by spinach. Lying atop a bed of goat’s cheese, the quinoa salad was not only aesthetically pleasing but delicious, with every mouthful of quinoa flavoured with rich, creamy cheese. Lomo de res (+$40) was like a tropical beef salad, with the tender, medium-rare loin slices complemented by the tanginess of the yellow tiger’s milk and the spicy kick of the aji amarillo. 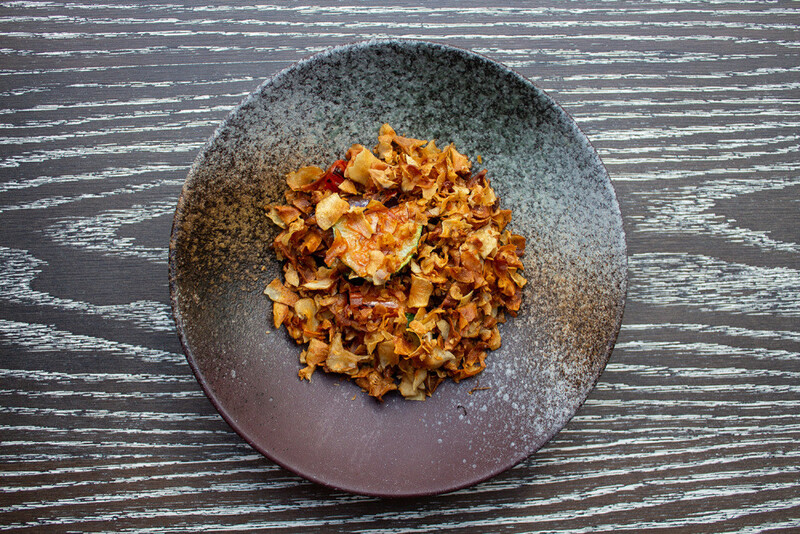 The underdog of all the starters was the vegetarian berenjena a la parilla, a grilled vegetable party featuring aubergine, tomato and courgette, topped with crisp artichoke chips. It wouldn’t be a Peruvian lunch without ceviche. 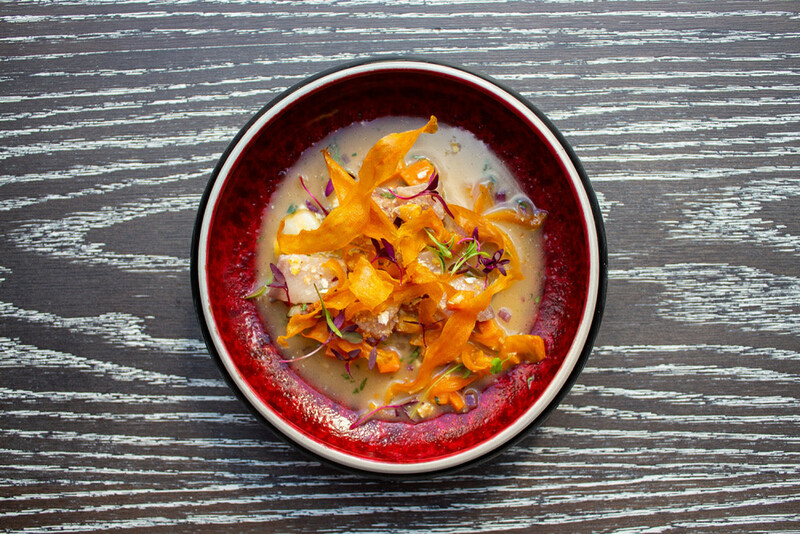 Cured in tiger’s milk (a citrus-based marinade), the refreshing acidity in the ceviche of the week jolted our taste buds, giving it a positive kick-start to our meal. 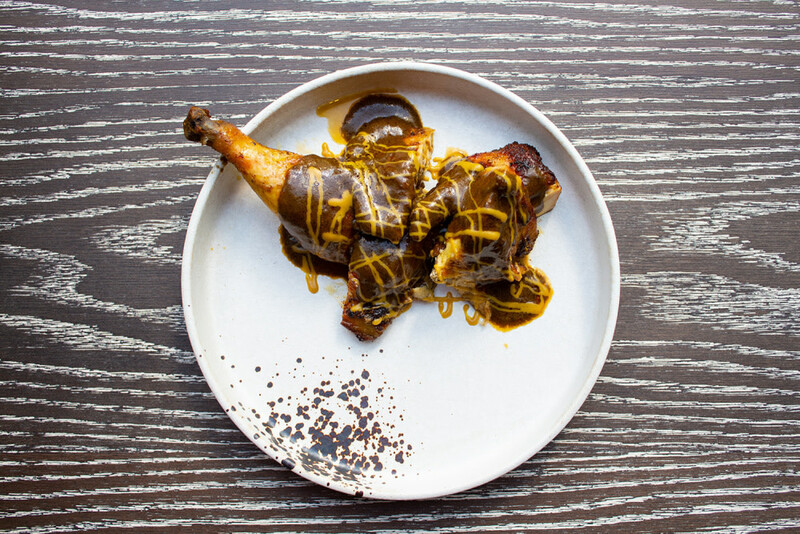 If you’re feeling carnivorous, you might want to opt for the pollo pachamanca, a generous, tender chunk of chicken leg drenched in ICHU’s special Peruvian pachamanca sauce. 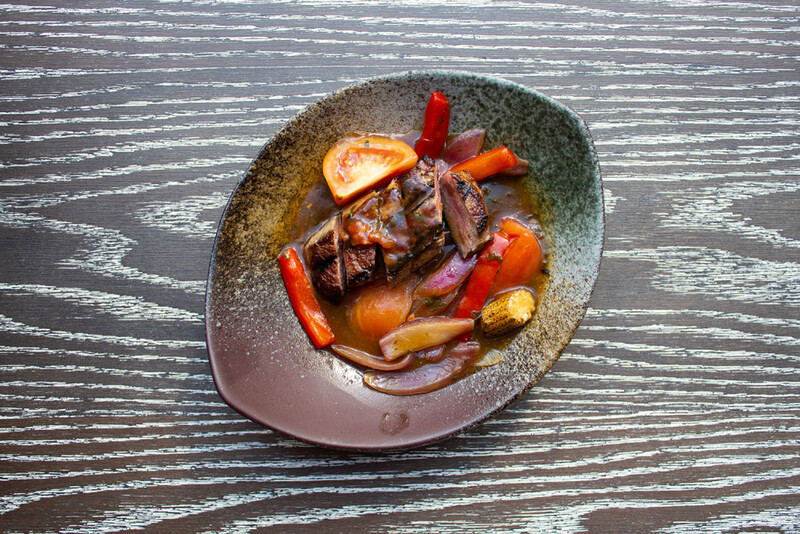 Or you could go for the lomo saltado (+$40), grilled beef rib-eye in a sweet tomato and red onion sauce. The mains that really stood out were the two tacu tacu dishes, a Peruvian staple of refried beans and rice. 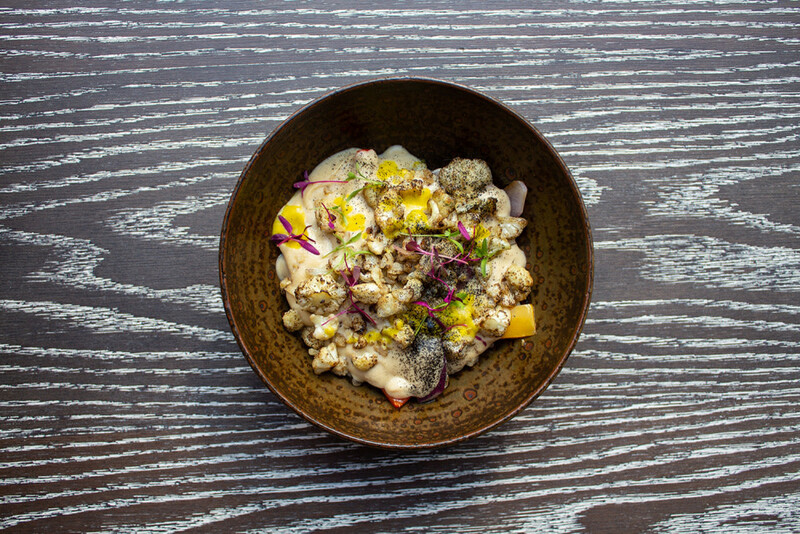 The tacu tacu coliflor is a vegetarian version that features rice cooked in a creamy cauliflower sauce, aji amarillo and chopped egg white. But the clear winner was the tacu tacu chupe, a dish that was completely wiped clean on our table. 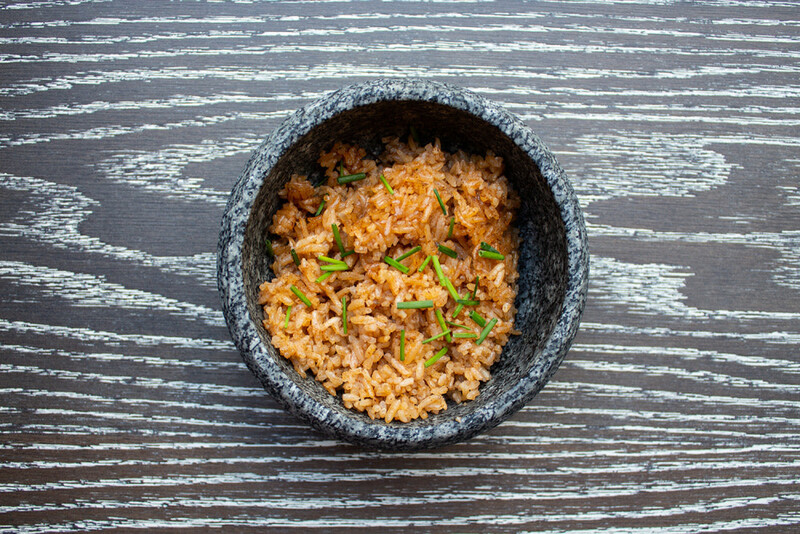 A seafood risotto-like dish that was slowly cooked in a rich, umami-laced broth, the tacu tacu chupe was given extra points because it was served piping hot, with steam emerging from the dish upon every scoop. It was so hearty that everyone at the table fought over the last bits. 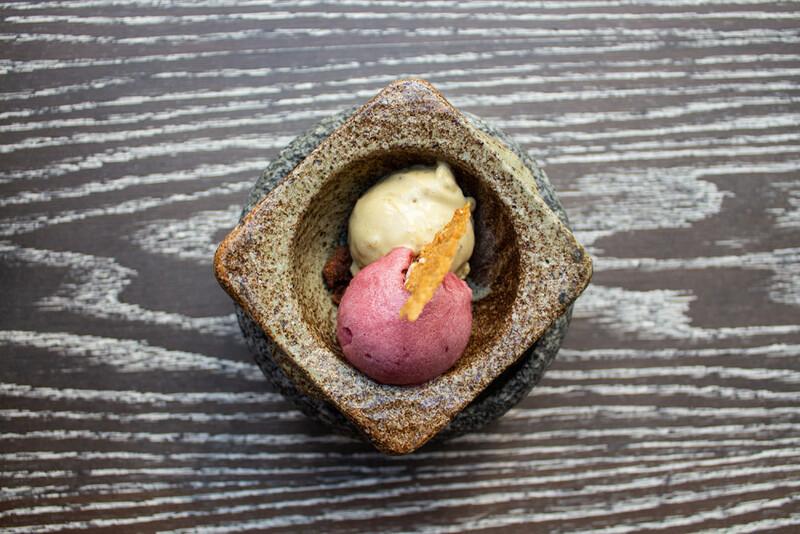 If you opt for the three-course menu, you’ll be able to indulge in some signature desserts of ICHU such as the Amazonia, an unassuming, plain-white dessert that was packed with so many delicious layers, from moist chocolate cake, to lychee mousse, to shaved Brazil nuts. 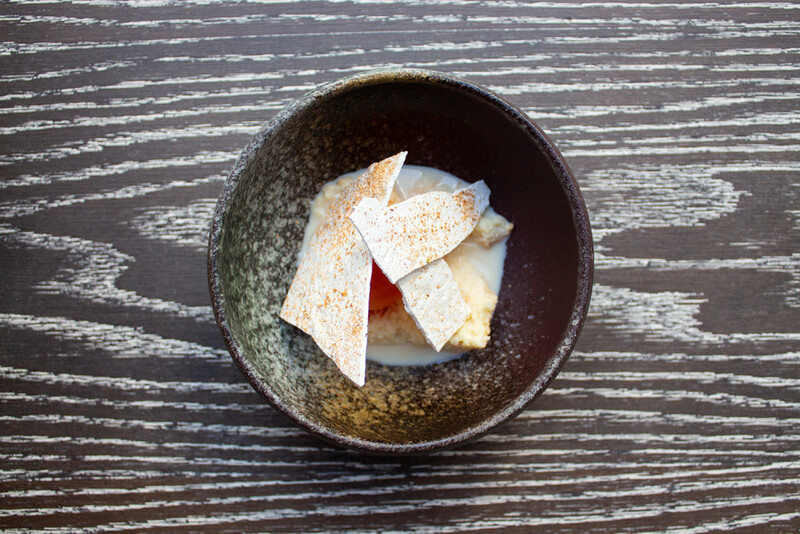 The tres leches was not only beautiful in presentation but also in flavour, featuring a vanilla sponge cake soaked in three different kinds of milk, topped with a refreshing scoop of carrot sorbet and shards of carrot meringue. 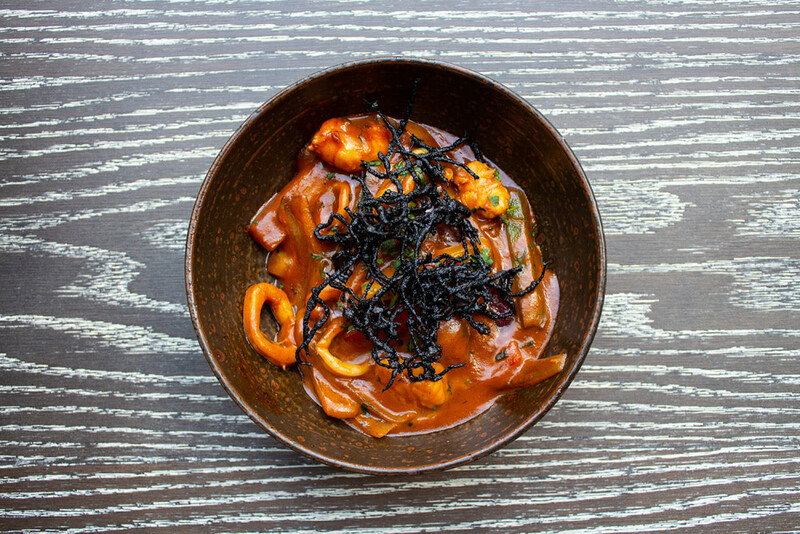 Give ICHU a shot for those indulge-yourself-silly lunch moments or those occasions when you need to bring an important client out for lunch. It’s also a great introduction to Peruvian food, with lots of variety on offer. 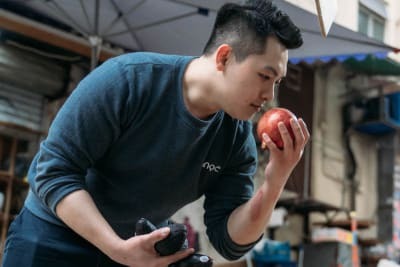 Chef Jeong is not only skilled as a protégé of Chef Martínez, but he is also very hospitable and relatable, popping by to check on his guests and strike up conversations. Hospitality is top notch here, and we found ourselves well taken care of by the staff at ICHU.